New York, N.Y. 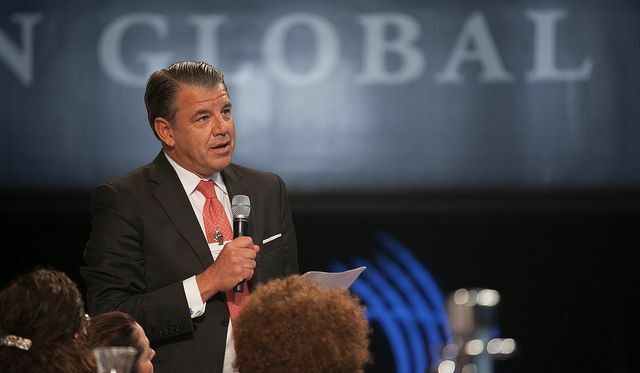 I was delighted to breakfast with my friends at Western Union at the Clinton Global Initiative (CGI) this week, including its President and CEO Hikmet Ersek who I met last year at CGI, and Luella Chavez D’Angelo who I have interviewed in the past (piece). It was at last year’s breakfast I met and wrote about Grameen’s founder Muhammad Yunus (piece). President and CEO Hikmet Ersek. Photo: Adam Schultz / Clinton Global Initiative. An advantage of a multinational corporation sensitive to the needs of the world such as Western Union is that they can respond immediately. Hikmet mentioned how, in response to yesterday’s earthquake in Pakistan, the Western Union Foundation has donated $50,000 to Save the Children. Save the Children was one of the many institutions represented on the breakfast panel. Save the Children saves lives in Pakistan. Image: Save the Children. 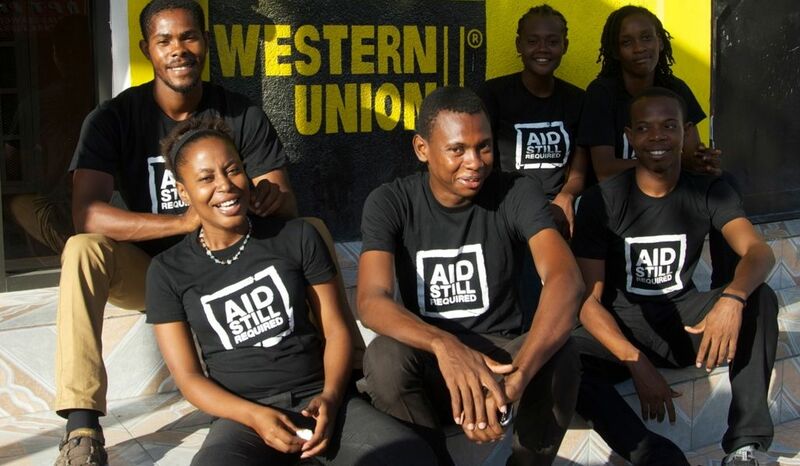 I am a big fan of Western Union, having used it to send funds to our orphanage staff in Indonesia and Sri Lanka after the Tsunami when other companies could not get funds through, and for over a decade in impoverished Haiti. I have experienced how Western Union is not only good for urban areas, but also works well in rural areas such as Bihar, India where last year I met many ‘untouchables’ (story).The focus of this year’s breakfast was on mobilizing financial resources for humanitarian and development organizations, particularly in times of crisis and improving financial rapid-response. 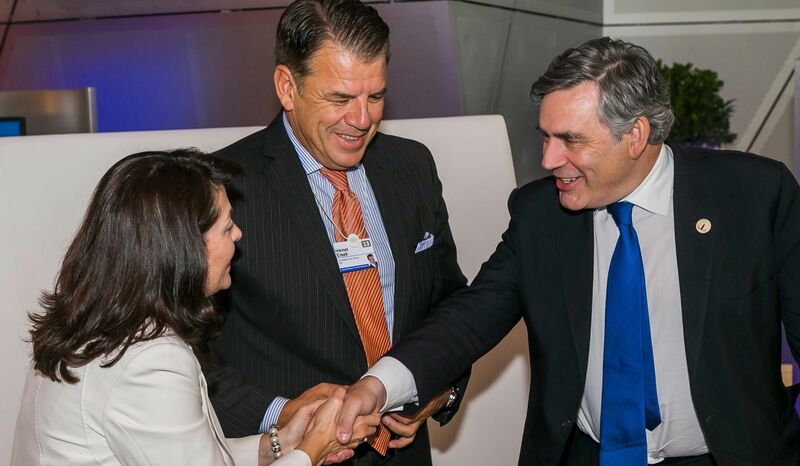 This critical service, known as NGO Global Pay, was announced at last year’s CGI breakfast. better connect NGOs and people they serve. Photo: Aid Still Required. The impact and results from the first year of NGO Global Pay, which for example has delivered more than 3,000 payments to over 1,800 Syrian refugees in Lebanon just this past quarter as well as providing emergency relief to countries in Africa, Latin America, and the Middle East over the past year, is particularly impressive.NGO Global Pay is Western Union’s unique product that gives non-governmental organizations (NGOs) — such as our own Orphans International Worldwide (OIWW) and J. Luce Foundation — better ways to manage and deliver funds where they are needed, safely, and securely. for Global Education, at World Economic Forum in Dalian, China. Photo: WU. There is a distinct trend in the NGO sector towards cash disbursement. More NGOs are looking for ways to send funds that give recipients increased choice in deciding what they most need. The whole point of this pilot is to create a payment platform that gives NGOs speed, accountability and flexibility so they can get funds to the people who need it most in the fastest, most appropriate way possible. Delivering aid in an emergency increasingly means delivering cash. Giving people money in hand means they can choose what they need. This not only gives them some control over their lives, it also gives back some dignity. As long as there are affordable goods available in the local market then cash is smart-aid. Having an extensive network of cash outlets that is secure, reliable, quick – and at the right price will mean that we are much better placed to deliver aid straight into the hands of those who need it most. Hikmet Ersek speaking at the CGI Plenary Session Creating Business at theBase of the Pyramid. 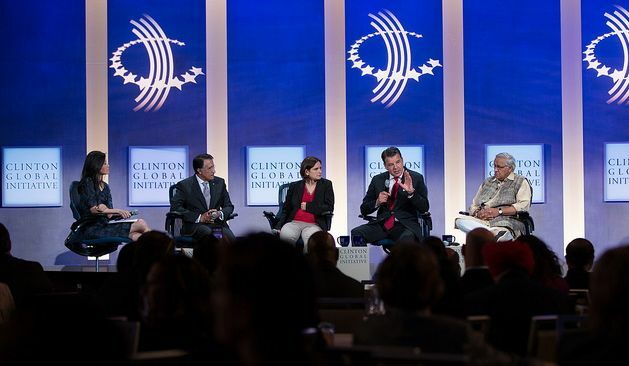 Photo: Taylor Davidson / Clinton Global Initiative..
At this year’s CGI Annual Meeting, Western Union announced plans for expanding the transfer platform to reach more countries in more ways, including the use of mobile wallets. Western Union NGO GlobalPay is now able to send cash payments to 59 countries. By the end of the year, this number will increase to 189 countries. The product will also include enhanced reporting capabilities that will allow NGOs to track when each payment is delivered, and where, allowing full reporting transparency for every transaction they send. Thought leaders and global citizens such as Bill Clinton, Hikmet Ersek and Muhammad Yunus make this world a better place. I know first-hand from my decades-long experience in the field that institutions from the Clinton Global Initiative to Western Union are integral to providing solutions to the challenges faced by humanity.